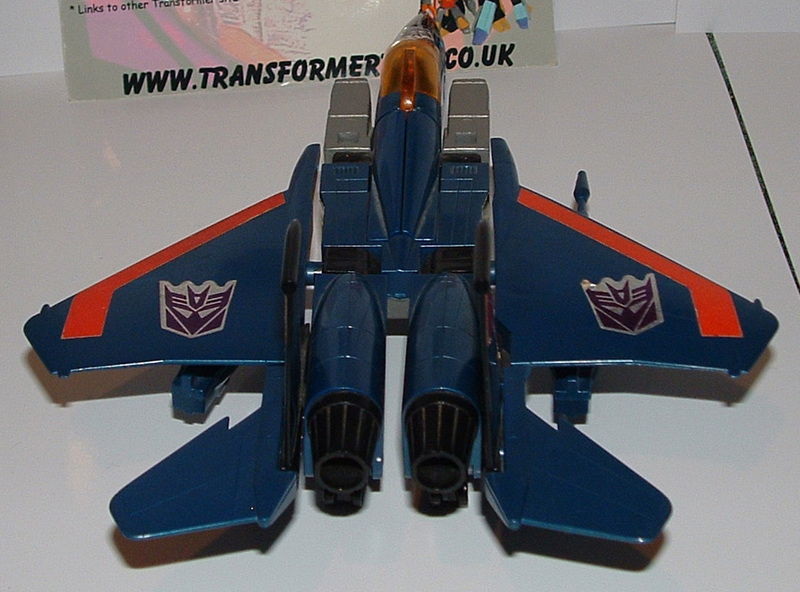 Welcome to the toy review, image gallery and information page for Generation 1 Thundercracker . Motto: The deadliest weapon is terror. 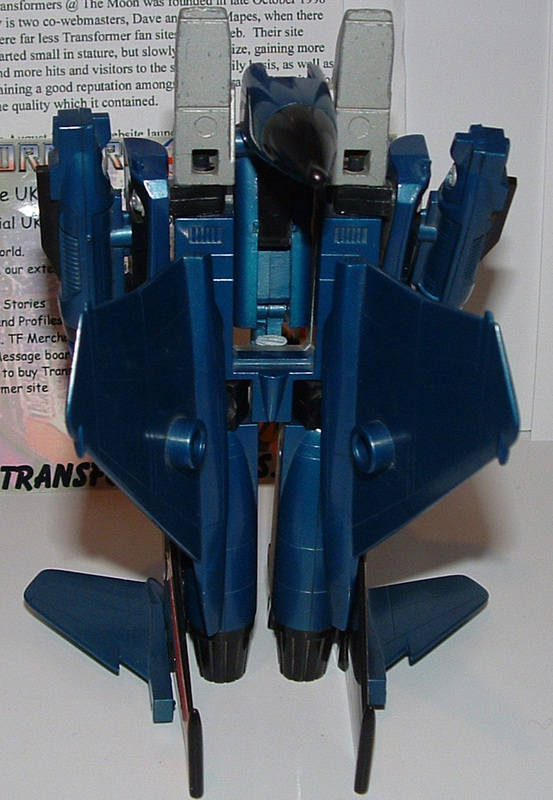 Profile: Thundercracker is contemptuous of anything that cannot fly. 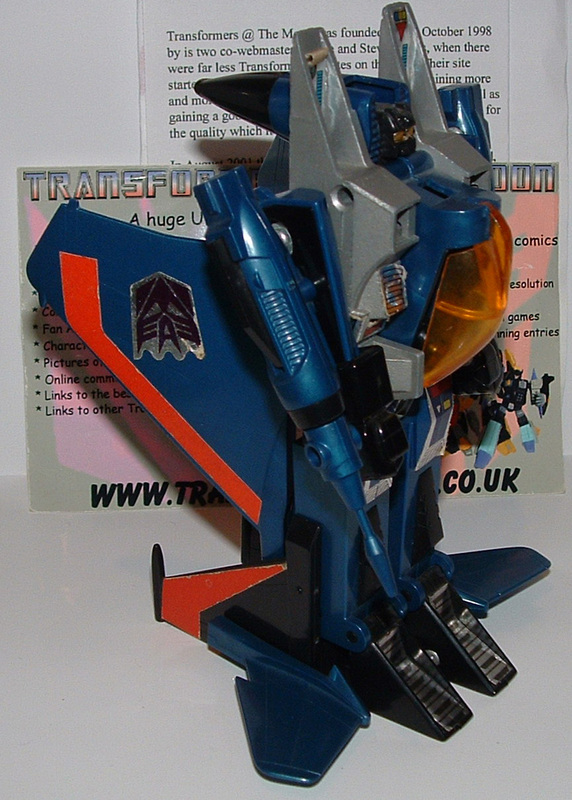 Not totally convinced of the Decepticons' cause, but they've persuaded him to continue battling Autobots. 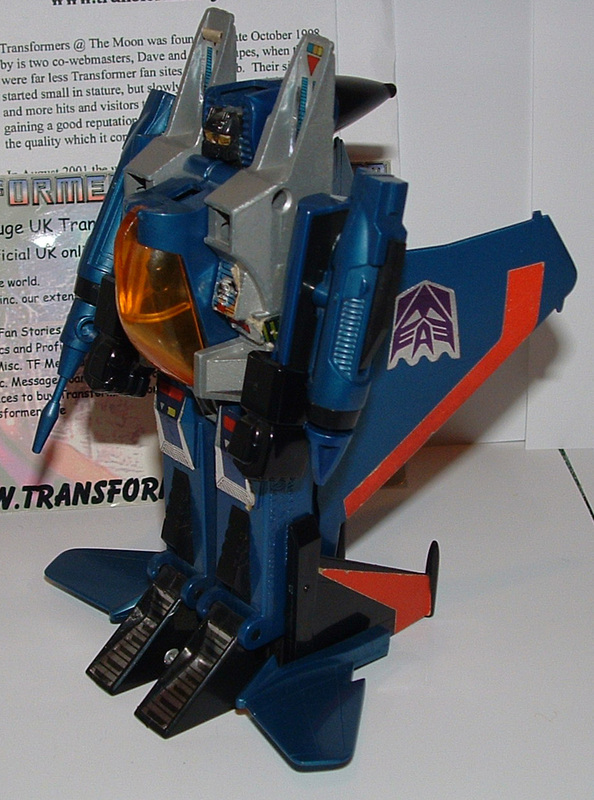 Flies at speeds up to 1500 mph. Produces controlled, deafening sonic booms - can be heard for 200 miles. 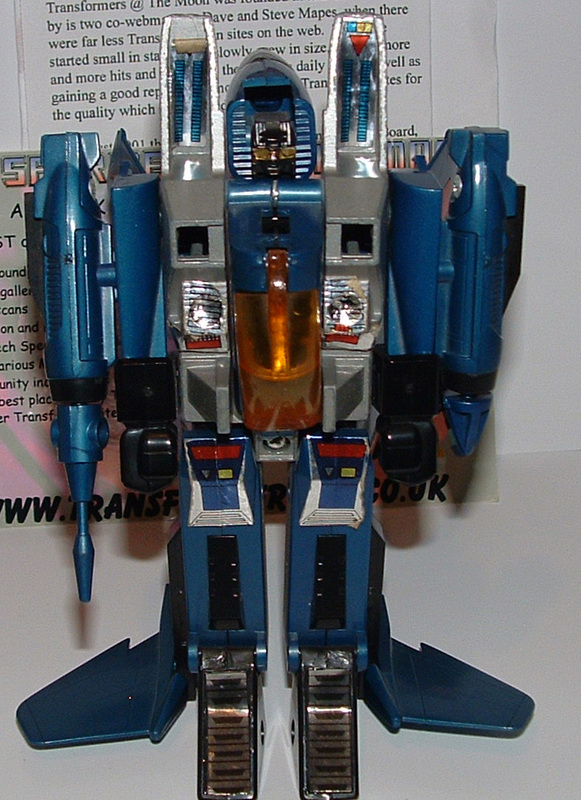 Equipped with powerful drone rockets and incendiary guns. Doubts about his cause sometimes impedes his effectiveness. 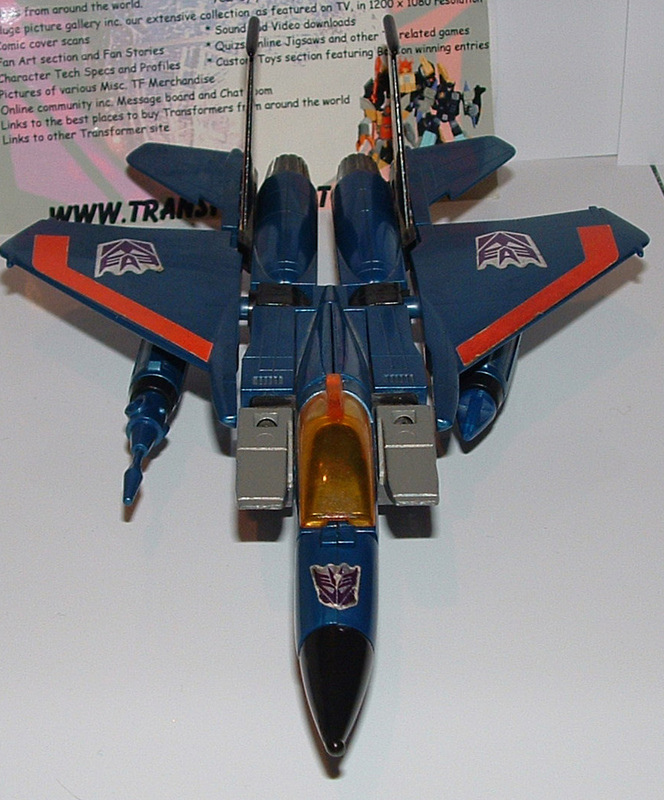 The following tags have been associated with this Generation 1 Thundercracker gallery. Page Rendering Time: 0.2721 seconds.